The Rev. Canon Raymond Raney will be retiring this spring as Canon to the Ordinary, Diocese of the Rio Grande. Canon Raney was appointed the Canon to the Ordinary by Bishop Michael Vono in 2016 following the election of the Rev. Canon Daniel Gutierrez as Bishop of Pennsylvania. 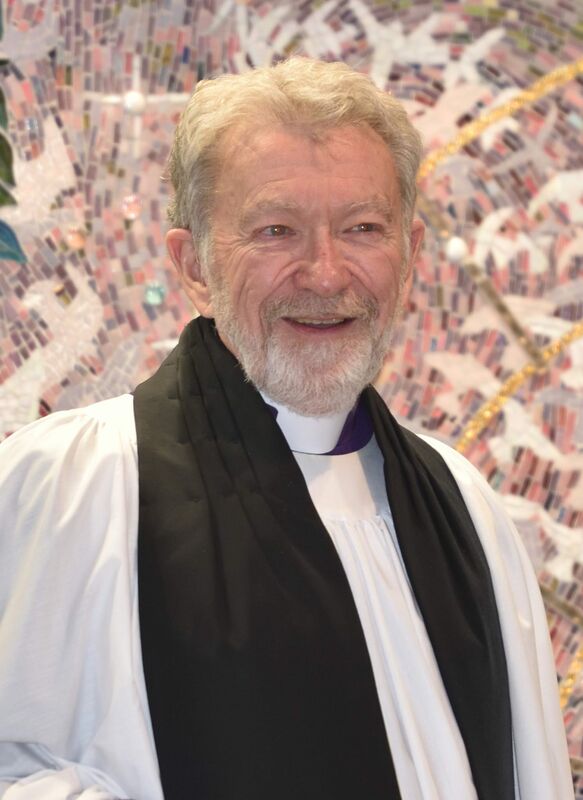 As Canon he guided congregations in transitions to new ministries, oversaw the operations of the diocesan staff, as well as the Bosque Center and Bishop’s Ridge. Prior to his appointment as Canon to the Ordinary, he served for nine years as rector of Church of the Holy Cross in Edgewood. Canon Raney will remain in the position during the transition period. The job description and application process for his successor are available here and here. “The job of Canon to the Ordinary is not an easy one, but for the past three years Canon Raney stepped in and has served our beloved Diocese. His service is characterized by grace, humor and integrity. “Shortly after I was elected, he graciously agreed to help guide me through this transition even though we all knew that his 72nd birthday and mandatory retirement from this position was inevitable. “I have not known Raymond long but I am deeply impressed and often surprised by the breadth of his creativity and talent. Almost weekly I learn of some new skill or expertise that he was hiding under the proverbial bushel basket! “Most of all I have been blessed by Raymond’s deep love for this Diocese and every congregation and priest and deacon and lay person in it. We’ve driven many miles in the car together, and I have relied upon him for wise counsel, clear advice (and copy editing!) He has helped me understand Our Diocese and how it works. I am glad he will not be departing too soon, as I will miss our daily conversations when the time of his departure eventually arrives.